This course will help educators understand the learning style theories of Aspergers syndrome and the issues that Asperkids face. A variety of learning strategies and accommodations are presented in order to help students succeed in facing the challenges that schools and life present. Educators learn to maintain a structured and supportive learning environment that is conducive to the needs of Asperkids and all students. Educators will research the topic of Aspergers syndrome to see what is happening in the educational community to understand and assist asperstudents. Teachers will develop lessons and activities that demonstrate the application of concepts and learning methods that help improve the learning quality and success of Asperkids in school and society. Teachers will examine the various ways of motivating Asperkids by finding and using areas of interest to engage Aspergers kids by listening and facilitating their passions. Educators will be presented with numerous approaches to help Asperkids perceive the world in concrete sequential ways as they learn random and abstract ways of thinking. Educators will be able to use the specific strategies to help Asperkids in preparation skills that help them with various methods of getting around obstacles and challenges. 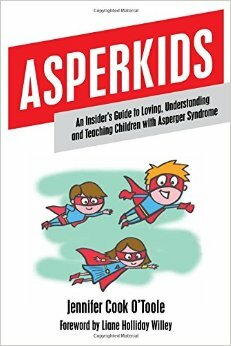 Teachers will develop lessons and activities that utilize various strategies in the book that help Asperkids learn practical skills so they can succeed in school and society.